This Speed Dial extension shows you if you have new messages in your Outlook.com account when you're signed in. 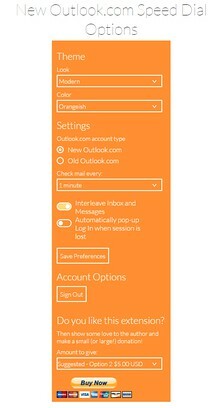 Just click the Speed Dial to Sign In to your Outlook.com account! Please report any issues you might have so I can work on solving them. All info you can provide is useful as I no longer have the old Outlook.com account to test.